Far too often I am sitting at the judging table and looking up at some of the best bodybuilders in the world, yet I am disappointed. One of the easiest muscle groups to develop goes untrained. I'm talking about the abdominals. GH has been around for since the 70s, but the infamous GH Gut is a not so old. GH Gut can be held at bay by focusing more training on the transverse abdominals. Keep tension on your abdominals throughout every exercise. Far too often I am sitting at the judging table and looking up at some of the best bodybuilders in the world, yet I am disappointed. I know, I know, I have the best seat in the house and I get into all the shows for free, so what on earth is there to be disappointed about? First and foremost, bodybuilding is supposed to be about building the complete physique. Every single muscle group from head to toe is to be developed to its maximum potential, while flowing in complete synchronicity with each other, illustrating a symmetrical work of art, of herculean proportions. Yet, one of the easiest muscle groups to develop goes untrained or more often than not and is completely mistrained. I am talking about the abdominals. How many of you have looked at contest pictures and said to yourselves, "Wow! That guy has great arms, and pecs," but at the same time you are let down by a bloated looking abdomen? You hear phrases like "GH Gut" and "Palumboism" or statements like, "That guy looks like he swallowed a beach ball." Who are we kidding? GH has been around since the 70&apos;s and 80&apos;s and the phrase "GH Gut" was still not yet invented. So, why didn&apos;t these guys have that "I just swallowed a beach ball" or "I&apos;m about to go into labor" distended belly? Bodybuilders Of The Time Feature The Distended Belly? Well, I will tell you why. Bodybuilding in those days was not about the money, or the endorsements; it was about bodybuilding, plain and simple. The gym was frequented by the iron warriors that wanted nothing more than to get themselves into the best shape of their lives. They worked their complete midsection: obliques, serratus, abdominals, lower backs, and intercostals. These guys were doing core workouts during the days when the only core anybody spoke about was that of an apple. So what exactly did they do to get this unparalleled midsection development? Well read on and I will fill you in! First and foremost take a look at the group of muscle that make up the midsection. There is far more than just the abdominals. There are the intercostals, serratus, obliques, and of course the ones that are never seen but have a huge effect on the appearance of the midsection, the transverse abdominals. These are the muscles which are situated behind the "six pack" and if left untrained, can lead to the whole "GH Gut" look that none of us want to see, let alone have. To work out these muscle groups we have a long varied list of effective exercises to choose from: crunches, leg raises, lateral crunches, Roman Chair Crunch, torso twists, hyper extensions and of course, the favorite of the newly certified fitness trainer, The Plank. Don&apos;t get me wrong, I think exercises such as The Plank are awesome, and I do them as part of my workout and recommend them to all of my clients. However, if not performed correctly none of these exercise, are going to do you any justice. The trick is to ensure that you are performing each and every repetition 100% correctly; far too often you will read about people doing 50 reps for crunches or 100 reps for torso twists, this is all BS. 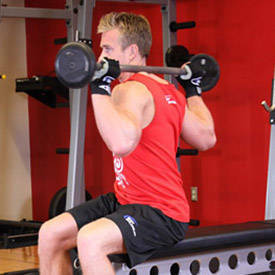 When performing the exercises correctly, yielding a rep range of 20 is an achievement. The objective here is to work the lower portion of the abdominals. Once in position, keep the midsection tight. This is done by pulling the navel back towards the spine while blowing out. 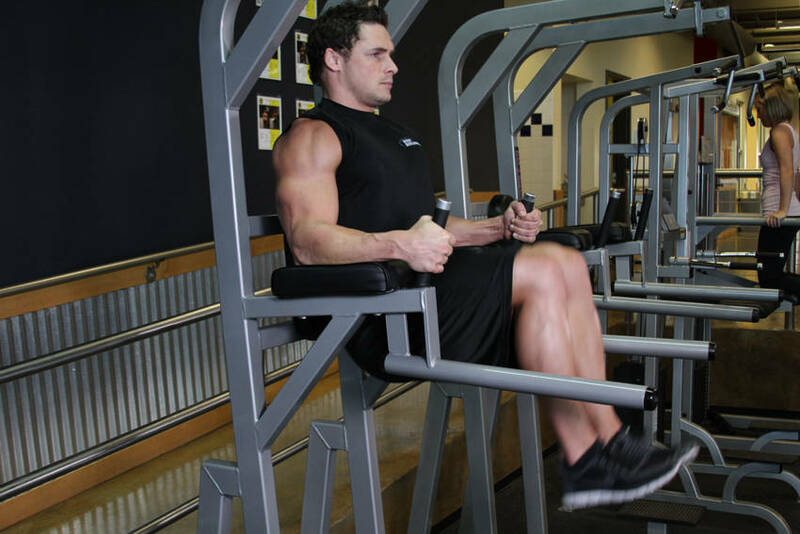 Raise the legs until they are parallel to the floor. On the negative phase, lower the legs slowly under complete control, ensuring that the abdominals are engaged during all phases of the movement. 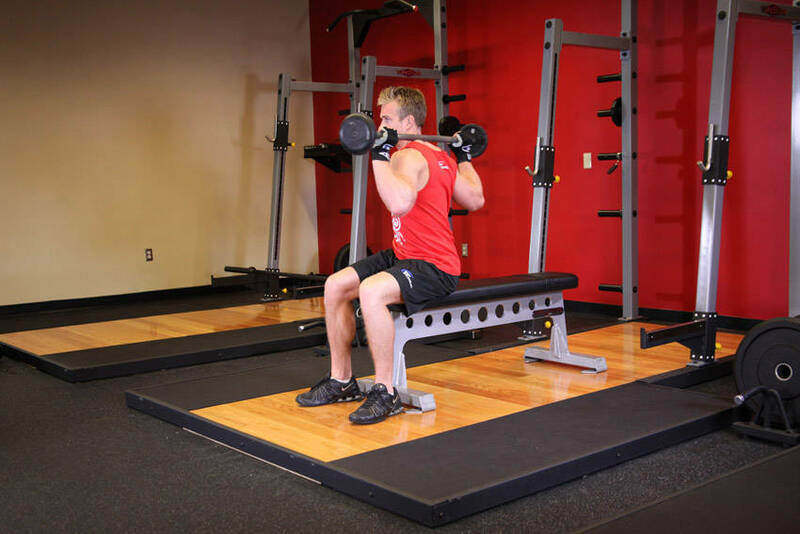 Click Here For A Video Demonstration Of Roman Chair Crunch. Grasp the rope normally used for triceps extensions, then alternating your contracting from your left side to right, keep the midsection tight through the movement, sucking the navel back towards the spine while contracting the abdominals. This will put maximum tension on the serratus anterior. With a broom stick placed across the shoulders, alternate flexion from left to right, pausing in the centre or neutral position. I like to perform this exercise while sitting on the edge of a bench. The abdominals should be engaged as described in the previous exercises, contracting while trying to draw the navel towards the spine. 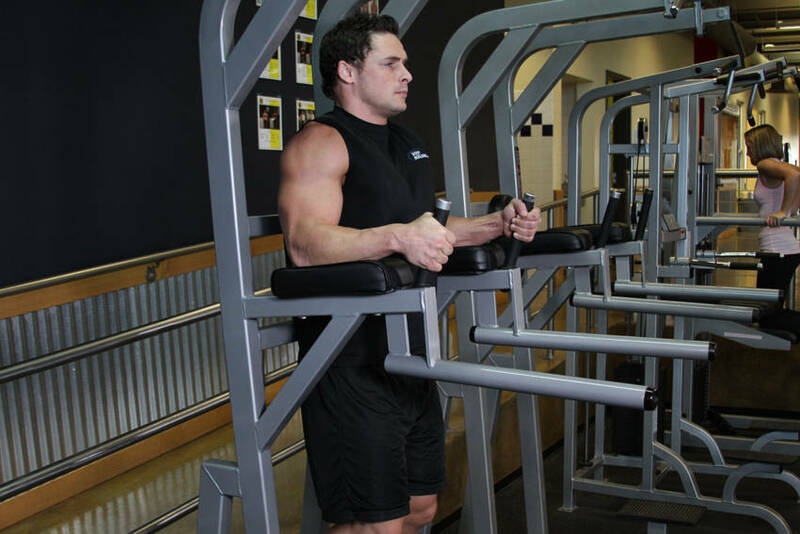 This twisting movement will put major emphasis on the external obliques. Click Here For A Video Demonstration Of Torso Twist. Starting with a left plank (while laying on the left side of your body raise yourself so that only your arm and feet are touching the exercise mat, your arms should make a 90 degree angle with your torso), hold for 30 seconds before moving to prone plank position (similar to the push up position except that you are in contact with the mat via, the feet and forearms only). Then perform right plank and reverse the process. When in the plank position, the emphasis should be on keeping the ears, shoulders, hips, knees, and ankles all in line. It&apos;s like a plank of wood, get it? This exercise has a clever name eh? Of course while in this position you will have to keep the midsection tight, sucking in, while contracting. Click Here For A Video Demonstration Of Lateral Plank. So you will have noticed that I am really trying to drive home the fact that you keep tension on the abdominals throughout each and every exercise. The purpose of contracting the abdominals in that fashion is that it trains the muscles into adopting a neutral position. Focusing on drawing the navel back towards the spine recruits the transverse abdominals, the muscle sheath behind the abdominals. This approach to performing abdominal work is targeting that GH Gut and minimizing any chance of ever having a protruding midsection. Exercises can be chopped and changed as with any other muscle specific workout while keeping it varied to avoid boredom, but utilizing the variety of movements to achieve a well rounded workout which yields unparalleled abdominal development is essential. But remember, don&apos;t dismiss the abdominals they are the core of your physique and can help to avoid lower back injuries. From an aesthetic stand point, they are the fancy rims on your sports car. Without them, something just seems wrong. Fat loss is primarily a struggle with keeping your diet clean and nutritious at the same time. To get your 6-pack abs to really pop, you are going to need a diet that gets results! Read more about the perfect diet strategy for your ripped abs below! Whitney Reid - The Man Who Lets His Abs Do The Talking! Fitness model and actor Whitney Reid has taken his abdominals to the big screen. 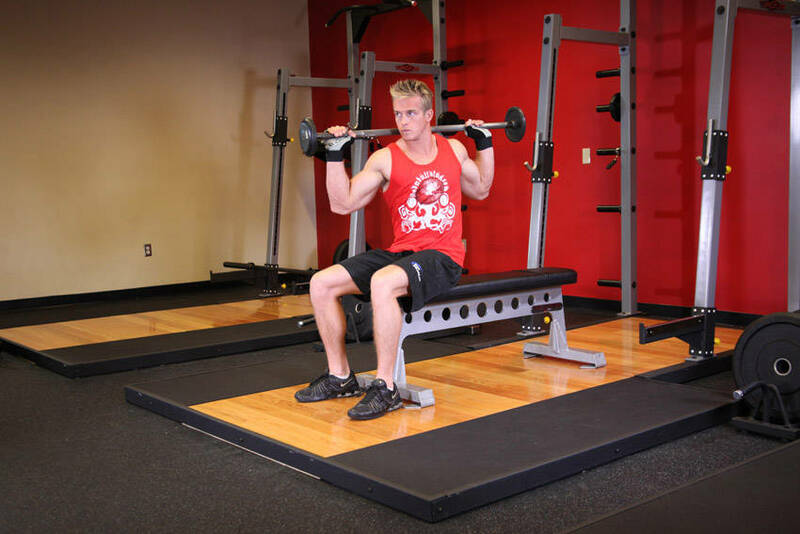 See what he has to say about keeping himself in movie shape. Transform Into The Ab-Dominator: Ab-Robics For Everyone! Have T.V. infomercials ever convinced you that you can get great abs with almost no effort? Well, it&apos;s a lie. But the hardwork and healthy diet do pay off! Find out the best way to turn yourself into the Ab-Dominator in only 30 minutes a day!